Why Does Isis Have Wings? This is one of the most popular posts on this blog. It seems many of us have questions about Isis’ powerful and magical wings. Indeed, the wings of Isis are among Her most dynamic attributes. The widespread wings of the Goddess are the means by which She fans renewed life into Osiris. They are the protection spread out over the deceased in the tomb. Egyptian representations of Isis frequently show Her with wings attached to Her graceful human arms or embroidered into the fabric of the slim-fitting dress that wraps elegantly around Her body. Keep me, Isis, in the shadow of Your wings. So why does Isis have wings? The first and easiest answer is that Isis is a Bird Goddess. Her most important sacred animal is a bird of prey. The Goddess often takes the form of Her sacred raptor; the kestrel (the most common falcon in Egypt) or the black kite. In Egyptian art, when Isis and Nephthys are not shown as women, They are shown in full bird-form or sometimes as woman-headed kites or kestrels sitting or hovering by the bier of Osiris. As birds, Isis and Nephthys mourn Osiris, screeching Their shrill bird cries to express Their sorrow. Even quite late, Isis and Nephthys were shown with wings attached to Their arms—which is the way we are most used to seeing Isis’ wings portrayed—or wearing a garment of stylized wings that wrap gracefully around Their bodies. Black kites are fairly large, dark-plumed birds (although they are more brown than deep black) that feed on both live prey and scavenge for carrion. They are sociable, intelligent, and aggressive birds—and would even attack wounded human beings. It may have been the bird’s fierceness that inspired one of the earliest Pharaohs to take the name Kite. Isis is fierce in protecting both Osiris and Horus. Both Sisters are fierce in Their lamentations for the God. The black kite’s cry—a shrill, plaintive, screeching—may have sounded to the ancient Egyptians like wailing, lamenting women. It may have been that the ancients saw a correspondence between the kite’s scavenging for carrion and Isis’s scavenging for the scattered pieces of Her husband Osiris’ body in order to assemble them for renewal. Or perhaps in the cleverness of the black kite the Egyptians saw a reflection of the cleverness of the Goddess Isis as She tricked the enemy Set time and again. 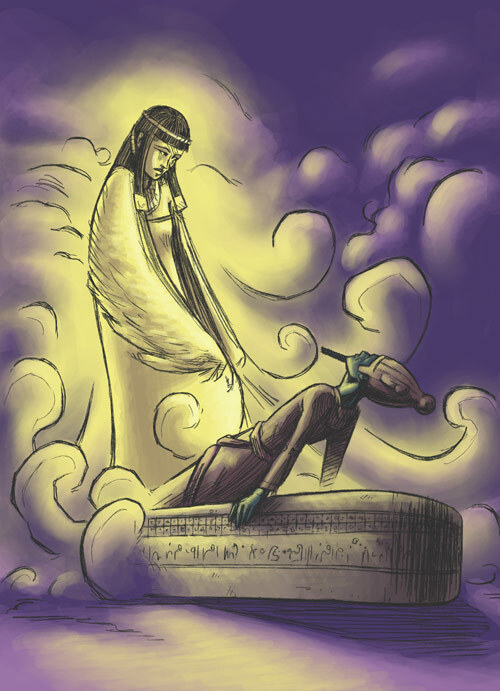 On a magical level, Isis’ wings are the means by which She fans renewed life into Osiris. Spread out over the deceased in the tomb, the Wings of Isis protect the dead. Many of those who have connected with Isis in ritual or meditation have known the feeling of Her wings being wrapped protectively about them. Beneath Isis’ wings, we are sheltered in this life and the next. For human beings, wings have always exerted a strong fascination and engendered intense longing. We are in awe of the ability of winged creatures to fly under their own power. 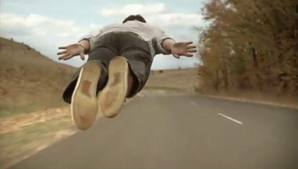 Even today when flight is available through mechanical means, many people still have “the flying dream.” In the dream, we fly on our own, our arms held out to our sides like huge wings, soaring like great, wild birds. Yet beyond physical flight, wings also commonly symbolize spiritual flight—ascent to the Heavens. And since feelings of rising, floating, or flying upwards can accompany spiritual experience, it is quite natural for cultures throughout the world to conceive of spirit beings—from angels to faeries—as winged. In Egypt, a very ancient conception of the cosmos envisioned the Heavens as the enormous wings of the great falcon God Horus. These heavenly wings, attached to the disk of the Sun, were a common Egyptian protective motif. In fact, the image of the winged disk of Egypt was so powerful that other peoples, such as the Babylonians and the Hittites, adopted it. Some scholars believe that the beautiful Hebrew biblical phrase “the sun of righteousness shall arise with healing in his wings” may have been inspired by the Egyptian symbol of the winged solar disk. I love the flying dream! This protective aspect of the symbol of wings was key in Egyptian thought; so almost invariably, when you see the open wings of a Deity, the wings are intended to protect—and Isis is the protective Goddess par excellence. Nevertheless, the wings of Isis could also be aggressive, one text tells us that Isis “struck with Her wing” and closed the mouth of a river. 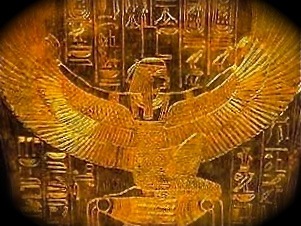 The open wings of Isis can also be related to a posture seen in images of the ancient Egyptian Bird Goddess. This is the posture of the famous Neolithic statuette of a so-called dancing woman with her arms raised in an open curve above her head, and which has become a popular amulet among modern Goddess worshippers. The same posture can be seen in the Goddess figures that ride in the curved boats that were a favorite theme of pre-dynastic Egyptian pottery and petroglyphs. 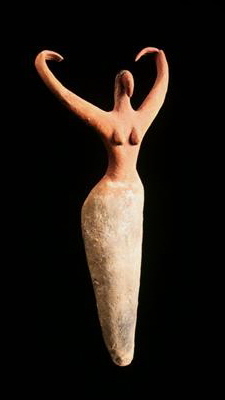 According to Egyptologist Louis Breasted, the posture is typical of Egypt. And although these ancient figures do not have obvious wings, their unwinged but upraised arms foreshadow the winged, upraised arms of Goddesses seen in later Egyptian art. These beak-faced figures are often identified as Bird Goddesses, so perhaps the wings are implied—or they may indicate that the figures represent human priestesses who are imitating their Bird Goddess. Whatever the case, the “wing” stance is a posture of great antiquity and numenosity and many researchers consider it to be characteristic of the Divine Feminine. If you wish to experiment with the power of Isis’ wings for yourself, try The Wings & Breath of Isis on page 268 of the new edition of Isis Magic. Previous Previous post: Is Isis a Moon Goddess?